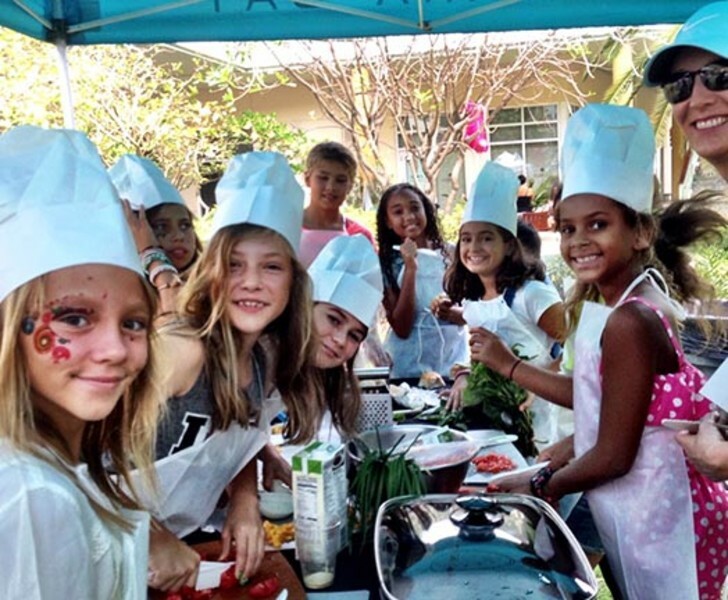 Kids can get truly involved in the destination’s thriving culinary scene by partaking in a range of fun experiences – from learning about sustainable/vegan/vegetarian cuisine, to trying out local recipes and getting behind-the-scenes access to professional kitchens and more. With prices ranging from complimentary to $85, the “Kids Culinary Capital” is a hands-on way to introduce up-and-coming young epicureans to the destination’s local flavors and culture. And frankly, we’re all for an activity that teaches our kids a new skill – and gives us a reason to kick back with a glass of wine while they do the hard work. Where the food comes from is the focus of free farm tours offered by the Chef de Cuisine and Head Gardner at The Brasserie. Kids can enjoy FREE farm tours to visit the restaurant’s organic vegetable garden, witness first-hand how the catch of the day makes it to their plates, and help collect eggs from the on-site chicken coops. Young chefs (ages 4-9) can partake in “Ambassadors in the Kitchen” program, experience a day behind the scenes as a culinary master at the Ritz-Carlton, Grand Cayman. For $85, kids will kick-off the class by learning how to make their own chef’s hat and apron before visiting the kitchen at Andiamo for a hands-on learning experience and epicurean adventure. Young Ambassadors are also invited to visit the Ritz’s organic garden to source ingredients to prepare with their local cuisine. An epicurean adventure, a cooking and baking interactive class guided by international chefs is offered for children ages 6-10 at Margaritaville Beach Resort Grand Cayman. Up-and-coming aspiring chefs will learn how to fold napkins intricately, set tables and various other kitchen and restaurant procedures, while also receiving an apron, hat and certification of completion.